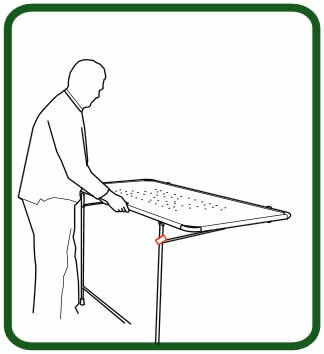 The Overbath Stretcher (OBS) designed for use with fixed height baths when drying and changing is required above the bath to limit unnecessary room transfers when using a hoist. 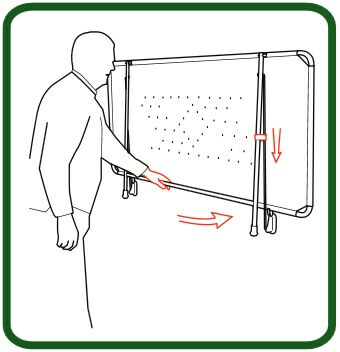 With sturdy adjustable support legs which fold down automatically when the stretcher is lowered, and an automatic locking system when stowed, the Astor-Bannerman over bath stretcher with a 3 year warranty* is one of the neatest and most convenient wall mounted showering/changing stretcher available on the market today. 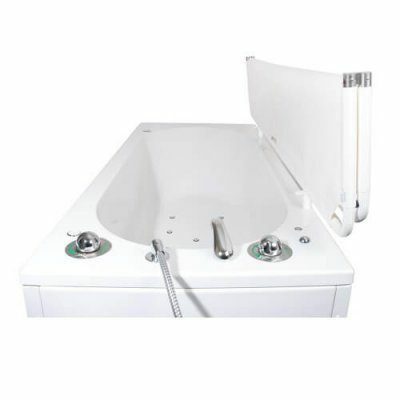 The complete unit folds up against the wall when not in use, allowing the bath to be used as normal and making maximum use of the space available. 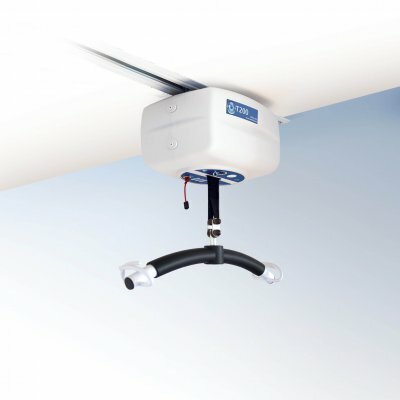 The frame is made from a rust proof stainless steel and covered in a non-rip high tension vinyl material with drainage holes which allow the warm air from the bath below to warm the client. 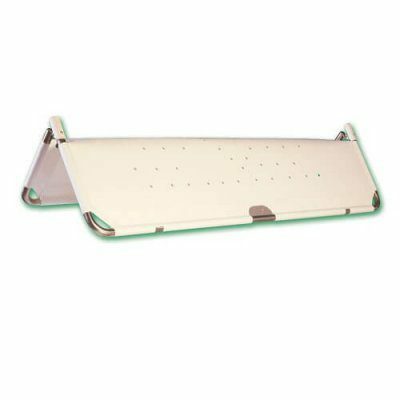 This stretcher is available in range of sizes from 1200mm to 1900mm x 800mm, or can be made to your individual requirements. 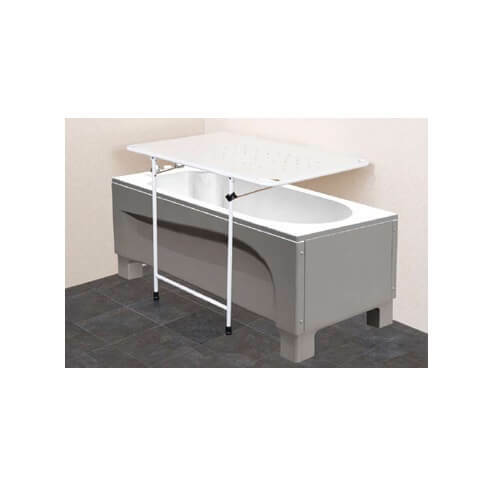 As well as being fixed over a bath, this stretcher can also easily be fixed elsewhere in a bathroom at a comfortable working height for the care giver making it a versatile care bench for bathrooms and wet rooms.